Researchers from the Harvard T.H. 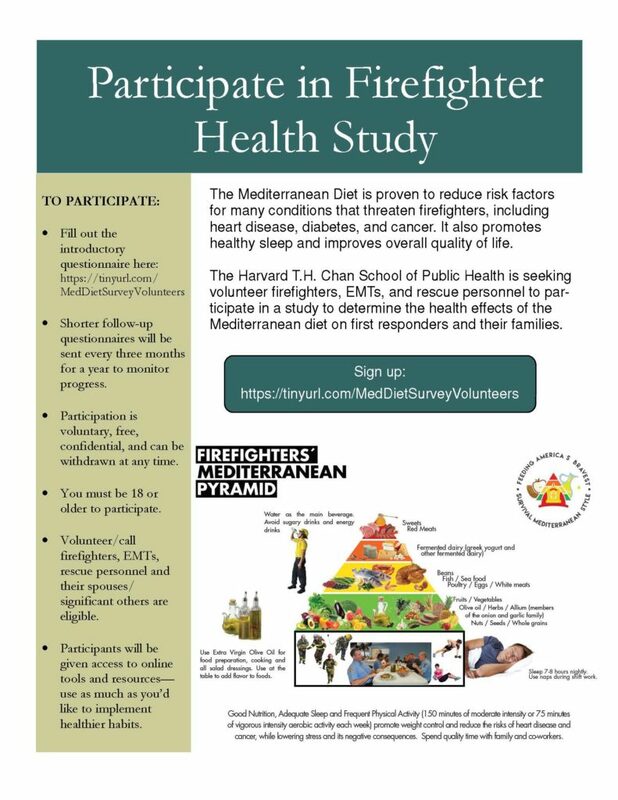 Chan School of Public Health, in coordination with the National Volunteer Fire Council, are seeking volunteer firefighters to participate in a study on the health benefits to emergency responders and their families of using the Mediterranean Diet. Participants will have access to online tools and strategies for implementing healthier eating habits to minimize the risk of developing serious chronic diseases. Volunteer/call firefighters, EMTs, and rescue personnel ages 18 and older along with their spouses or significant others are eligible to participate. Participation is free, confidential, and can be withdrawn at any time. All participants will have access to a series of online tools specifically designed to help firefighters and their families improve their health. Shorter follow-up questionnaires will be sent to participants once every three months for the next year to monitor progress. 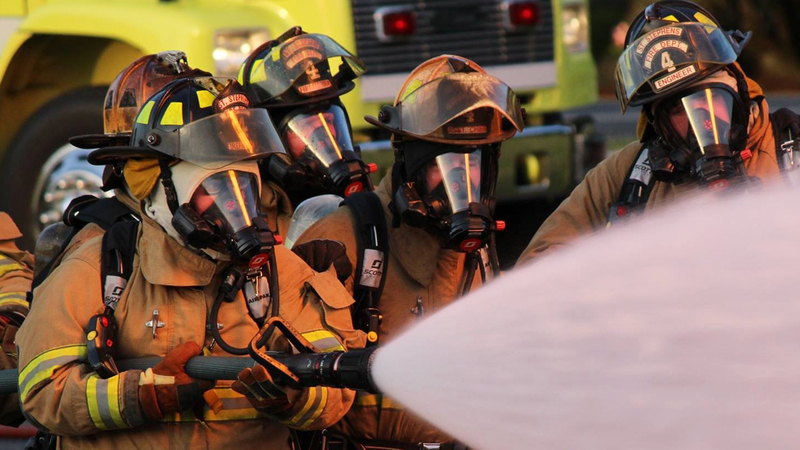 The goal of the program is to improve health, reduce risks of heart disease and other serious illnesses, and help inform future firefighter health interventions.